It’s been a good day so far. We both had our coffee black this morning, which Glyn enjoyed and Will tolerated. After some quick shopping we now have a variety of Vegan milks ready for tomorrow, even if the coffee needs to be brewed over an open fire. As we write this, the heartening aroma of curry rises from the skillet, and we open a bottle of our own RavenOak French Oak Reserve Cabernet. 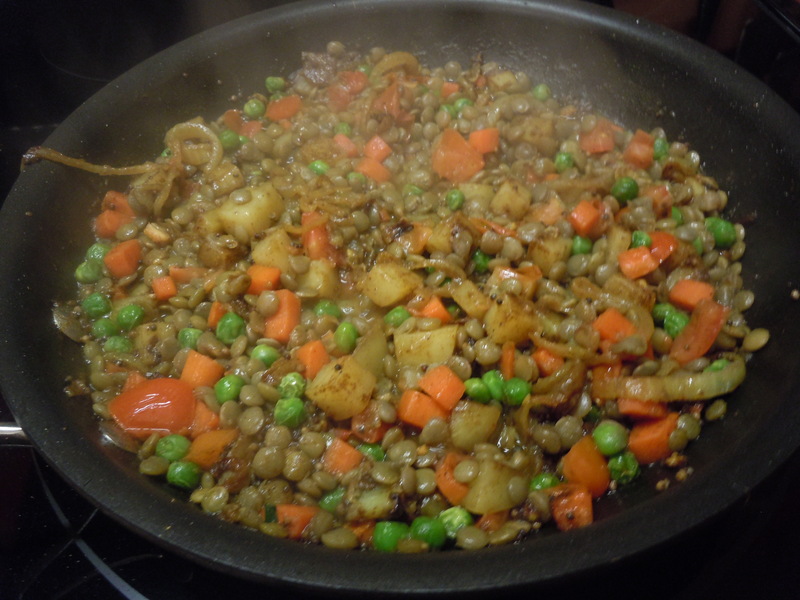 Cook the lentils in the water with the bouillon cube in a partially covered sauce pan for 40 minutes. Do not drain. 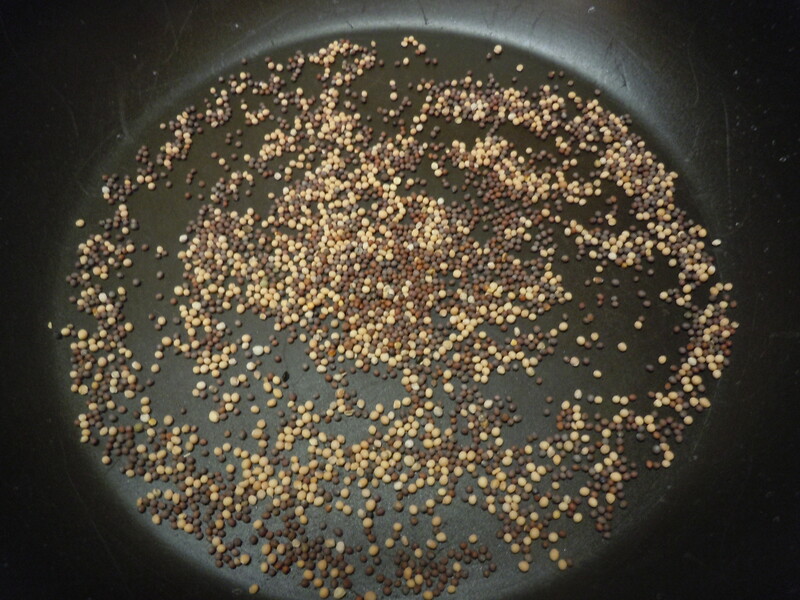 In a medium sized dry skillet, toast the mustard seeds. 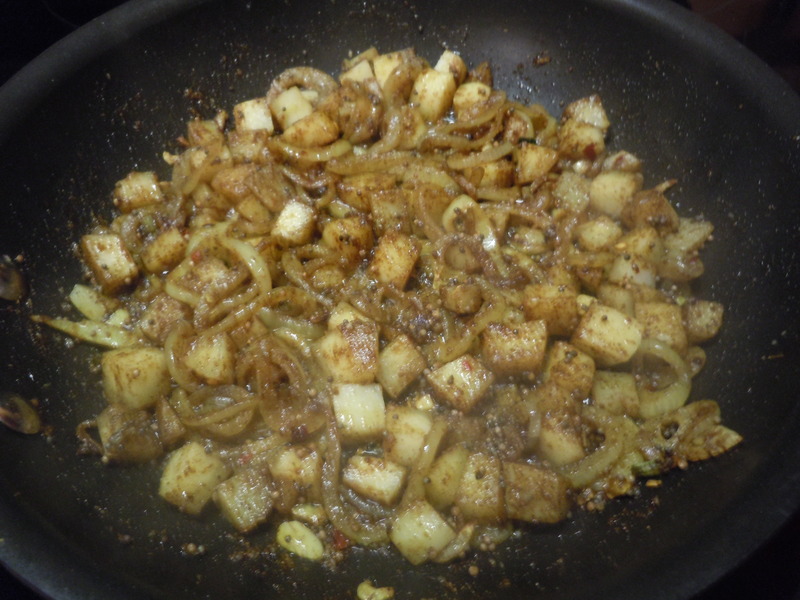 Add the dried spices and stir until aromatic. 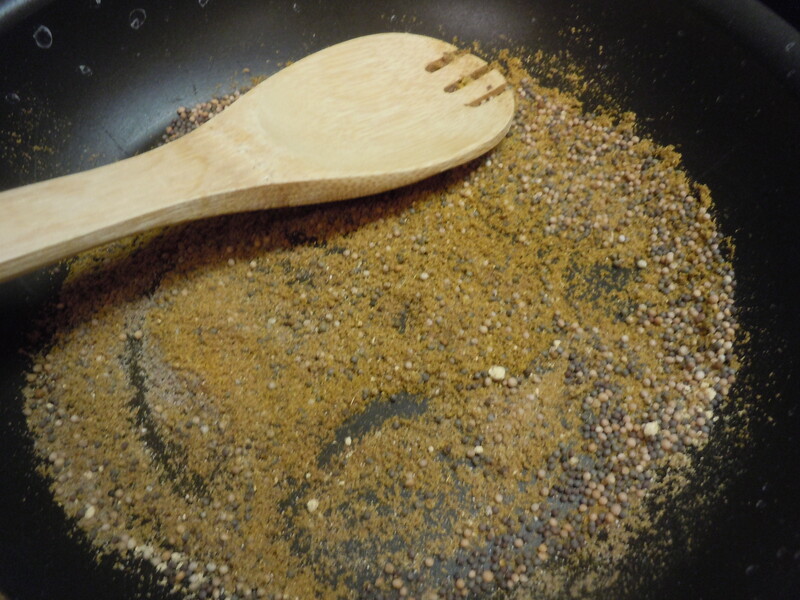 To the same pan, add the oil and stir to blend. 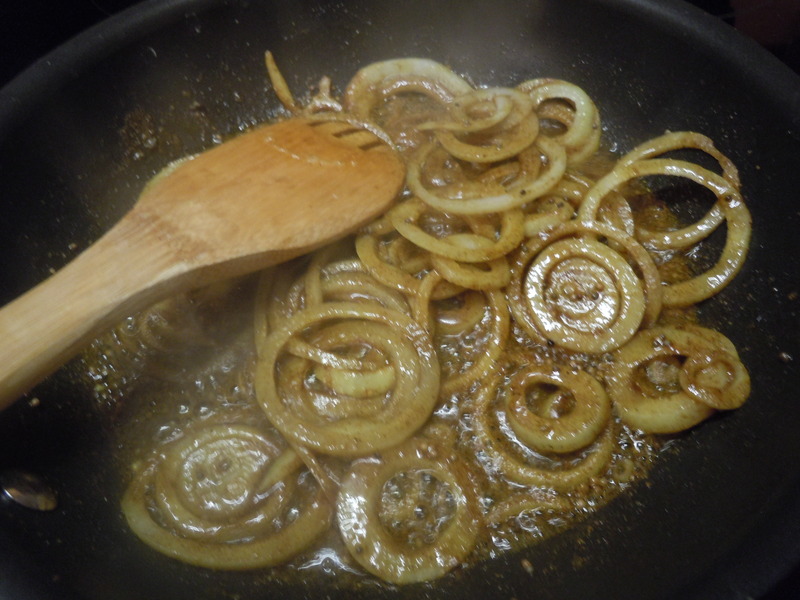 Add the onions and cook until lightly browned. Add the garlic and cook about 1 minutes. Do not scorch the garlic. 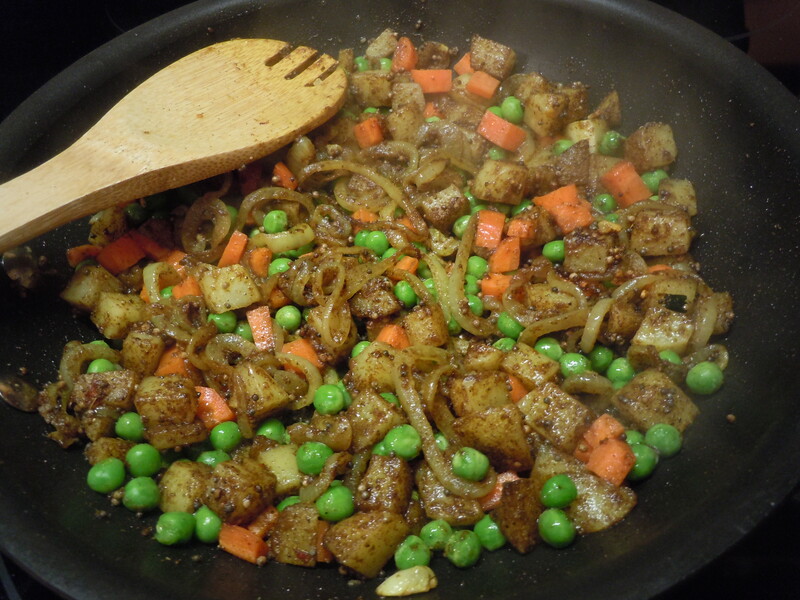 Add the potato, carrots and peas and continue to sauté until the potatoes begin to crisp and the carrots and peas are crisp tender. 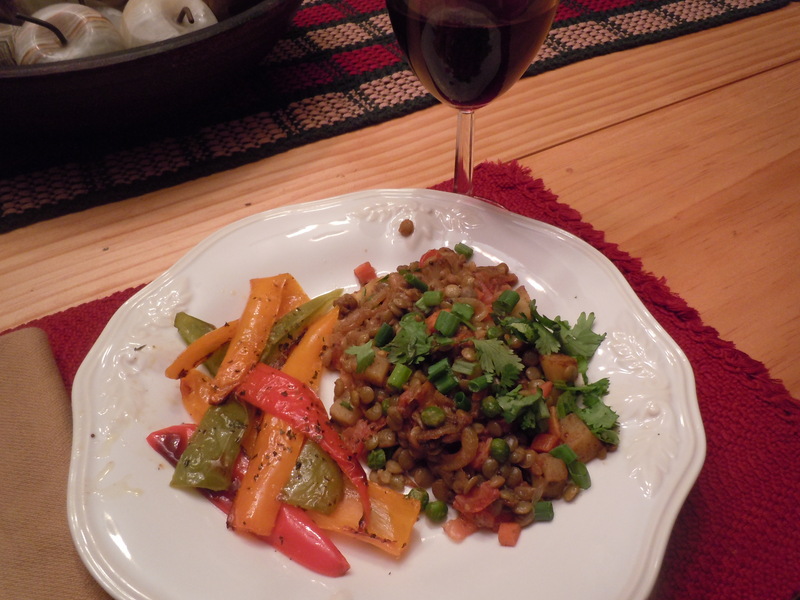 Stir in the tomatoes and the lentils and any of their liquid that has not been absorbed in the cooking process. 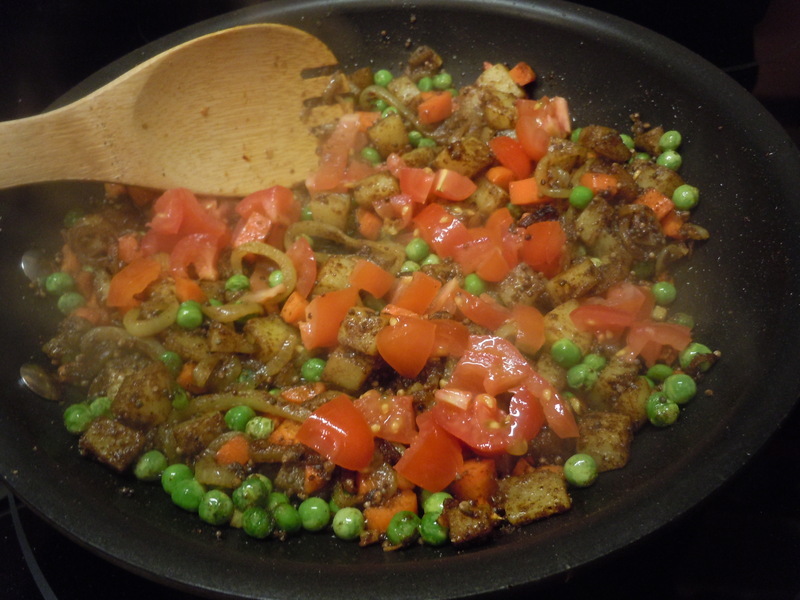 Bring to a boil to heat through, stir in the lime juice and serve garnished with the chopped cilantro and green onion. 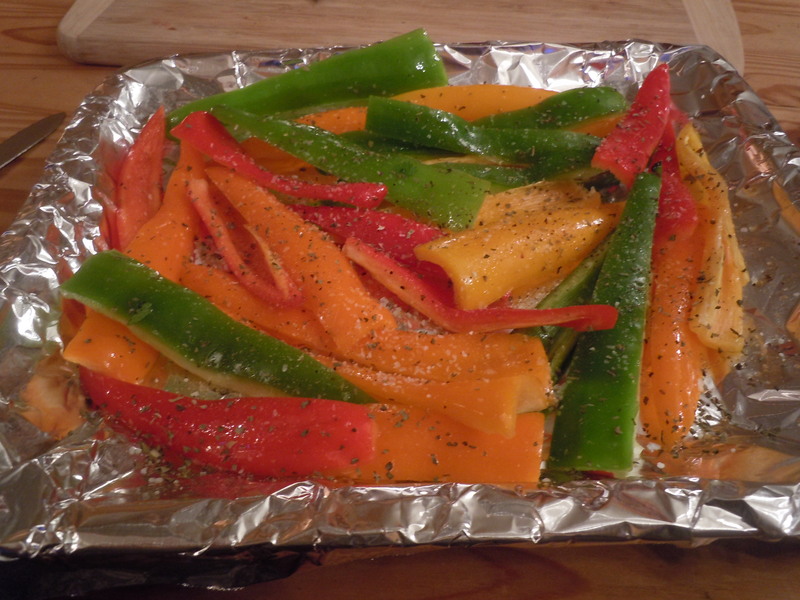 Accompany with Roasted Sweet Peppers. 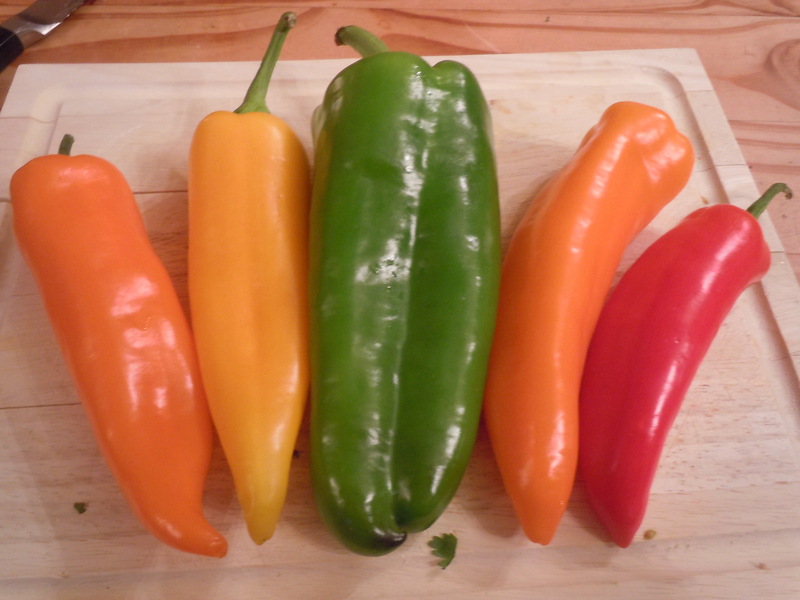 Seed peppers and cut into long strips. Toss with oil, salt, pepper, and garlic powder. Bake at 425 degrees for 20 minutes. ooh, what’s that last one?i don’t give it much thought. i cook what i fancy and soetmiems that includes meat and soetmiems it doesn’t. i never think of it as vegetarian, just what i’m cooking today, loli was Vege then Vegan since the age of 12. but meat proved too good for my health.what i do give thought to is where our meat is coming from. Thank you so much! They were also very delicious today for lunch during the ice storm! Yum. Beautiful! I hope that you are staying warm and cozy. I’m sure you were at least during your supper, what with that delicious food and cabernet. Thanks we had a cozy evening and a warm night indoors. Everything is sheathed in ice this morning. Hoping the day warms slowly and the trees are not damaged. Thanks! 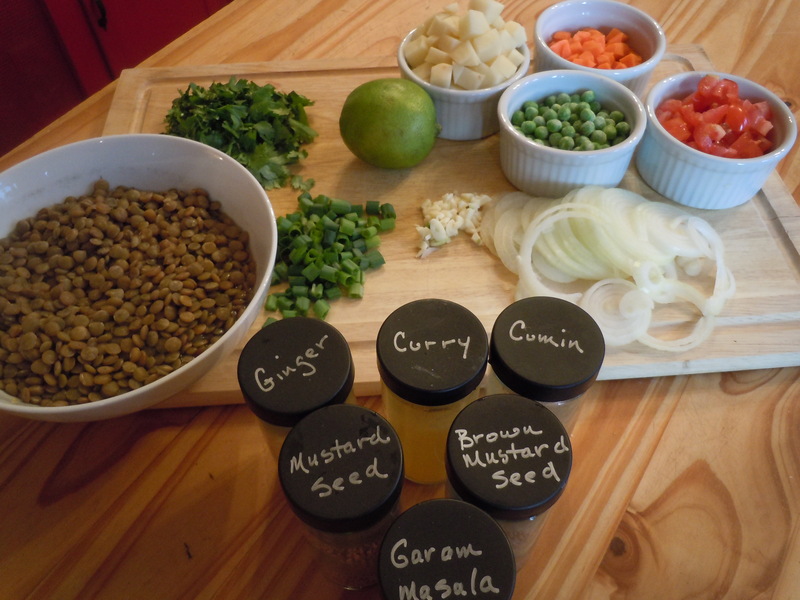 We love the earthiness and the way that lentils play well with others. I think today’s challenge will be tofu. If the power stays on after the ice from last night’s storm. I know what you mean. As a strict vegetarian myself it is somewhat disheartening to see those long lists of ingredients on milk alternatives. We drink almond milk mostly, but I’m certain that if someone is looking for an all natural nut based milk, making it at home is a quick and easy option. Yes, reading labels is a must! But our market carries all organic unsweetened no sugar no msg no additive versions so it’s been worth the effort. Thanks for the comment and the remainder.